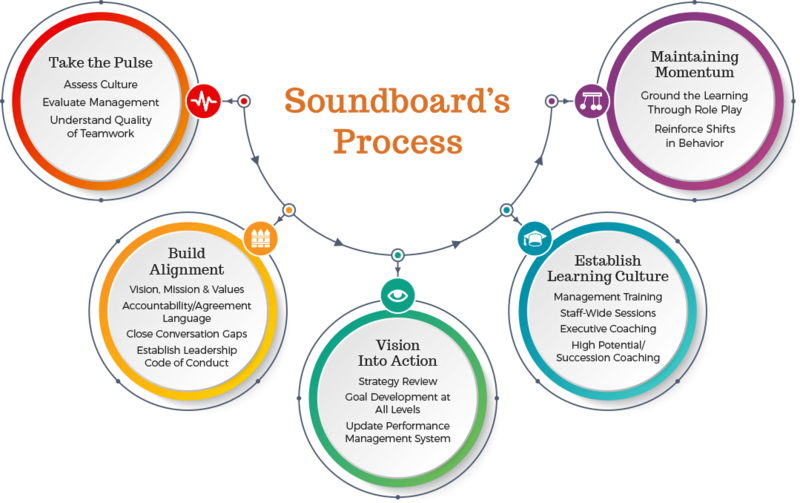 The Soundboard process has its foundation in our philosophy around creating long-term sustainable change. We believe in the power of incrementalism. We have found that small shifts can make a big difference – without causing instant backlash and resistance. It is easier for people to adapt to a series of small shifts than to a single significant change. 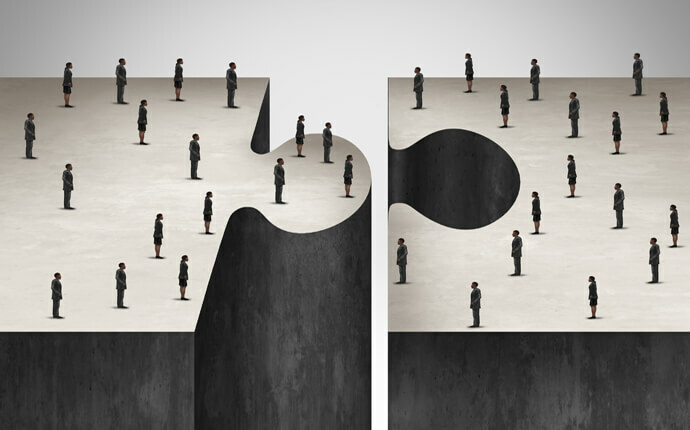 Once the group has integrated the first small shift, then the “new normal” can be accessed and the next steps can be determined. Ideally, the group becomes more flexible and open to change over time, making them more powerful and resilient. Our process is delivered in multiple phases over an extended period of time. 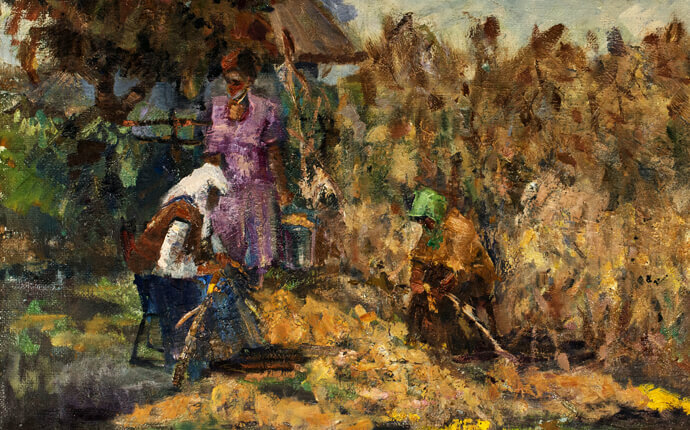 During the initial phase of support, we seek to understand the “current reality” by Taking the Pulse. 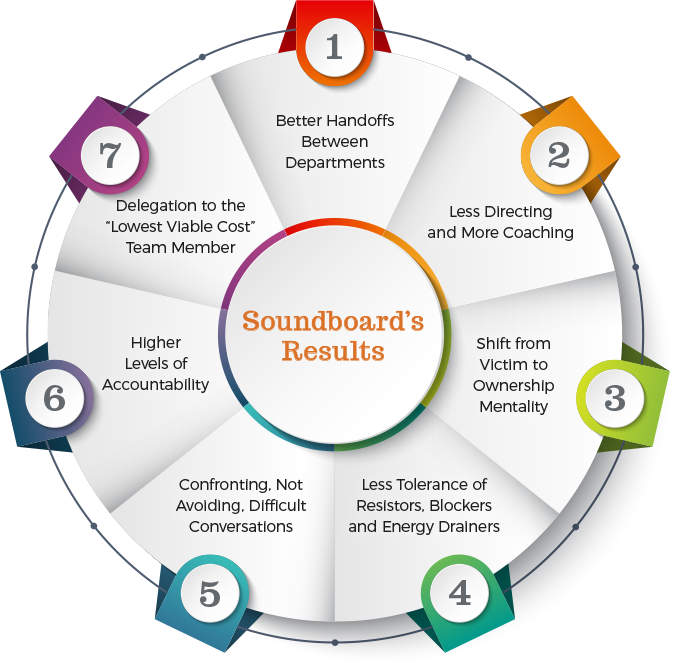 The Soundboard Team accomplishes this by assessing the culture, hearing all perspectives, understanding the competency of management and evaluating the state of teamwork. At the end of this phase, we present a report of our findings and provide a plan to “close the gaps” so that we can begin to Build Alignment – phase two of our process. Here we help build clarity around vision, mission and values of the organization, reinforcing each by bringing in the language of agreement-setting and accountability. This will allow us to facilitate missing conversations and co-create the first draft of a Leadership Code of Conduct. During phase two, we look at the company’s strategic plans. From there, we facilitate critical strategic conversations, take the company through a SWOT Analysis (Strengths, Weaknesses, Opportunities, Threats) and begin to prioritize key action items into a list of goals and objectives. 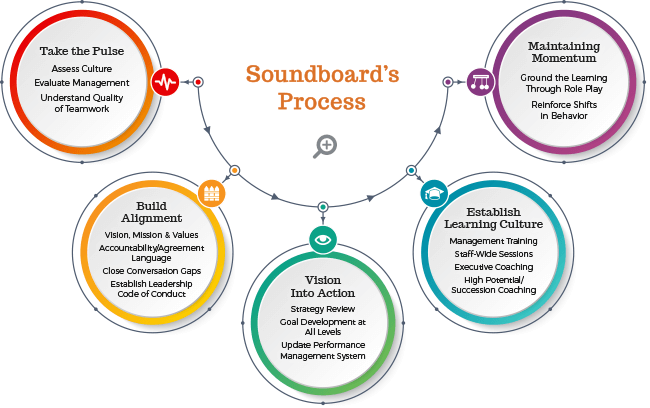 Parallel to phase two, we start to Establish a Culture of Learning – phase three of our process. This phase includes collaborative sessions on key management topics, staff-wide learning programs and one-on-one management coaching. As momentum builds through our first year of support, our work transitions to Reinforcement and Grounding of the Learning. This phase varies from client to client; depending on the level of engagement, overall sense of urgency, budget and longer-term vision for the company and its leadership. 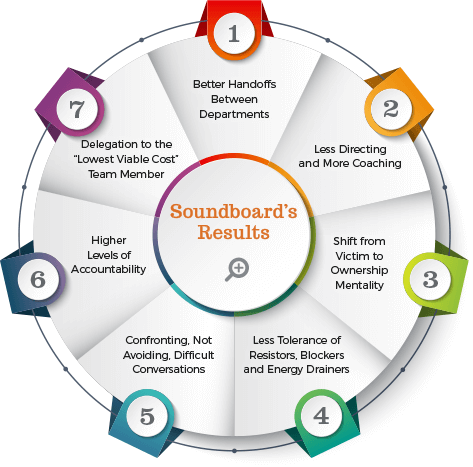 Upon successful completion of the Soundboard process, clients can expect to achieve a number of tangible results that will enhance productivity and profitability.